In order to meet the rising demand for skilled healthcare professionals in Arizona, Maricopa Corporate College (MCOR) is now enrolling for six short, in-person healthcare programs. According to the Bureau of Labor Statistics, the healthcare industry is expected to grow by more than 20% from 2012-2022—twice the national average for all occupations. Thus, not only are there open positions in these fields today, but there will be an abundance of jobs available well into the future as well. With MCOR’s 3- to 5-month programs, individuals will learn all the skills they need to secure one of these positions and succeed in this high-growth industry. Students can choose from one of the following programs: Clinical Medical Assistant, Pharmacy Technician, Dental Assistant, Patient Care Technician, Dialysis Technician, and Medical Billing and Coding. Each program offers a diverse and comprehensive set of skills tailored to that specific position. 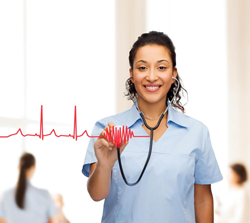 For the Clinical Medical Assistant program, for example, students will learn how to take vital signs, review and administer medications and prepare patients for examinations. This specific program, like many of the programs offered, also includes a clinical externship to provide students with practical, hands-on experience. Students are encouraged to explore these options with an enrollment advisor to determine which path would be the best fit for them. However, no matter which program students choose to pursue, they will be entering into a field experiencing rapid growth. Specific start dates, times and locations depend on the program; however, all programs begin in June 2015. Classes are held on various Maricopa Community College campuses to accommodate students throughout the Valley. These programs are part of Maricopa Corporate College’s growing catalog of more than 300 instructor-facilitated online and in-person courses. To learn more, please call an enrollment advisor at (480) 377-2777. From entry-level to executive training, MCOR delivers market-relevant, customized workforce solutions and education for employees in virtually every industry sector. Through a strategic business partnership model, MCOR assesses workforce training needs and develops and delivers customized and integrated solutions to meet those needs throughout all levels of an organization. MCOR is part of the Maricopa Community Colleges — one of the largest higher education systems in the nation with nearly 250,000 students, and a model of excellence internationally.